Welcome to Chino Valley Pediatric Dentistry. We are delighted to have you. We cater to all children, adolescences and teens including medically, physically or mentally challenged individuals. The office is specifically designed to provide a comfortable and enjoyable dental visit. We are dedicated to providing the highest quality of comprehensive dental care in a safe and gentle environment. We offer many treatment options for your child including nitrous oxide (laughing gas) analgesia, oral conscious sedation and in-office IV general anesthesia. Our brand new office is equipped with the latest state-of-the-art technology, including digital x-rays and computer imaging, nitrous oxide (laughing gas), ceiling mounted LCD televisions and a videogame center in the waiting area. Our staff has extra training and experience in dealing with children. Everyone strives to make the visit as fun and comfortable as possible. Our goal is for your child to become a patient who is both happy and dentally healthy. Our emphasis is on prevention, patient education, safety and comfort. We look forward to a long term relationship with your family. 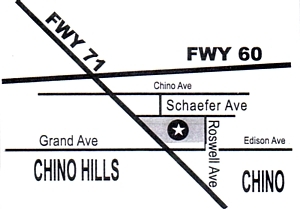 Chino Valley Pediatric Dentistry ~ For all children, adolescents and special needs patients. Copyright © 2007 Johnny K. Ma, D.D.S., Professional Dental Corp. All Rights Reserved.